Pardon the hiatus, people. Happy New Year, no matter how belated this greeting may sound. But of course, it’s Happy New YEAR, not Happy 1st of January, so anytime’s fine I assume. I was down to Malacca/Kuala Lumpur for the past week, a much needed and deserved 2 weeks break from the office. Which is still undergoing renovation and smelling like glue+chemicals. But I have to admit …. the combination of stench was rather intoxicating. 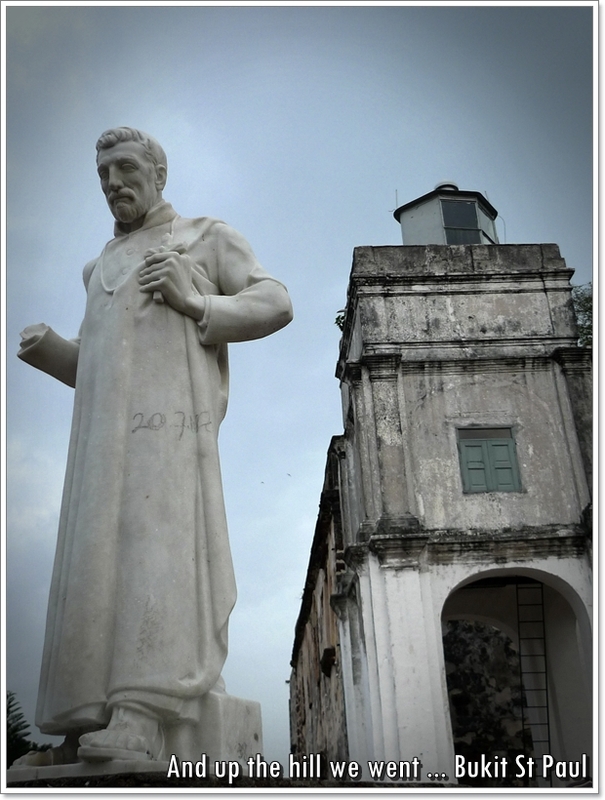 Wait, I am NOT being myself here …… Let’s do a short post on the Malacca getaway now, okay? The Journey to the South started on the 30th of December 2009 – A most auspicious day. Don’t ask why. And thus, we embarked on our road trip down south, preparing for the worst possible jam (remember that dastardly 7 hours jam from Penang to Ipoh back in November last year?) but pleasantly surprised by the smooth traffic all the way til Malacca from Ipoh. We did make a few stops here and there, to cater to those bursting bladders and incessant needs to satisfy the hunger pangs. NOT mine, definitely. For I was still in a state of unrest, bordering on turmoil if you will. That lingering effect of a stale prawn lasted me for TWO years, literally. Few days, spanning from the end of December until the start of the brand new year of 2010. So you can imagine how my year started off with a BANG! (Not the most pleasant kind, for sure). Unlike 2009’s Tenji experience. Wait …. come to think about it, that was NOT much of a satisfactory start either. Oh well ….. deja vu then. We stopped over at Bidor in Perak, at the most famous restaurant in the small town populated with a majority of Chinese eateries. You can read about my previous lacklustre experience back in 2008, when I felt disappointed with the quality of the duck thigh noodles back then. And equally dismayed at the shrinking in size, and increasingly pricey ‘Wu Kok’ (Yam puff). But this visit proved otherwise, for we felt that the noodles (their own, QQ-texture/springy egg noodles aka wantan mee) tossed lightly in a mix of soy sauce, dark soy sauce and a dash of compulsory sesame oil scored brilliant, brownie points with us. Yup, in comparison to some other ‘over-rated’ versions of the same noodles (no prize for guessing which, you can dig for them in my archive), Pun Chun’s version was really good. My expectations was low, but surpassed indefinitely. And the upper thigh of the duck, cooked in a most wholesome and flavourful herbal concoction (you can slurp them all down without feeling the thirst, a sign of omission of MSG/flavour-enhancer) was tender, fork tender (or in this case, chopstick-tender?) with a slight tinge of gamey taste, exactly how I like my duck. The yam puff was still …. erm, pathetically small and dry. And it’s RM1.60 per piece now. No idea what’s the fuss about them, as you can get other superior versions in dim sum outlets in Ipoh, and even some random stalls at the market. There’s a FANTASTIC variety sold at the Bercham morning market, though I have no idea which stall specifically. Okay, so what’s next? Off to the south we go ….. for some Seremban Siew Pow by the expressway !!! Empayar Seremban Siew Pow has gotta be the MOST prominent, and possibly most famous brand of Siew Pow in Negri Sembilan. And the whole of Malaysia, to some extent. The mega structure of a 3-4 storeys building facing the PLUS highway is a good indicator of its fame, and its established status in the Siew Pow business originating from the town of Seremban. Though much like any other signature products from the other states, Heong Peng from Ipoh for example, there are detractors, fans and the likes. 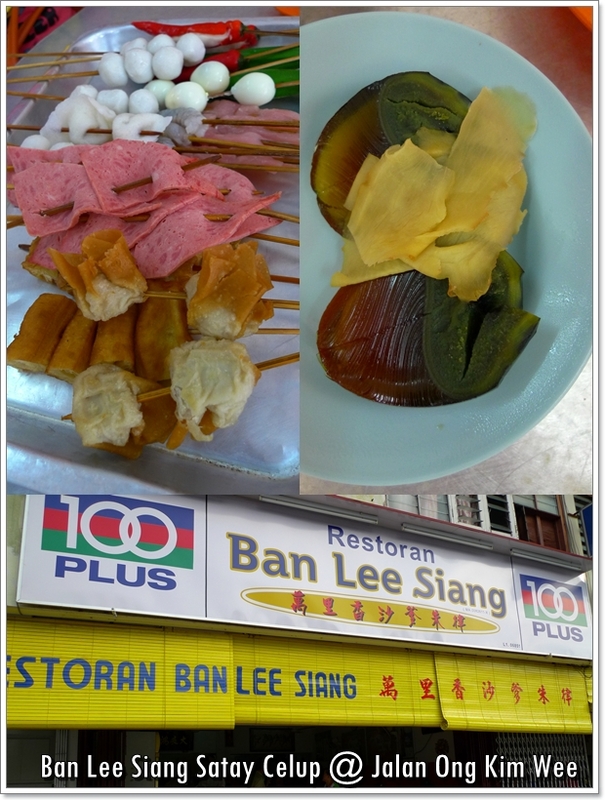 Previously I tasted Warong Seremban Siew Pow, located on Jalan Rasah in Seremban town. They’re actually one of the same, so you don’t have to drive all the way and brace the congestion of Seremban town, and instead buy from this outlet situated a short distance away from the toll exit. 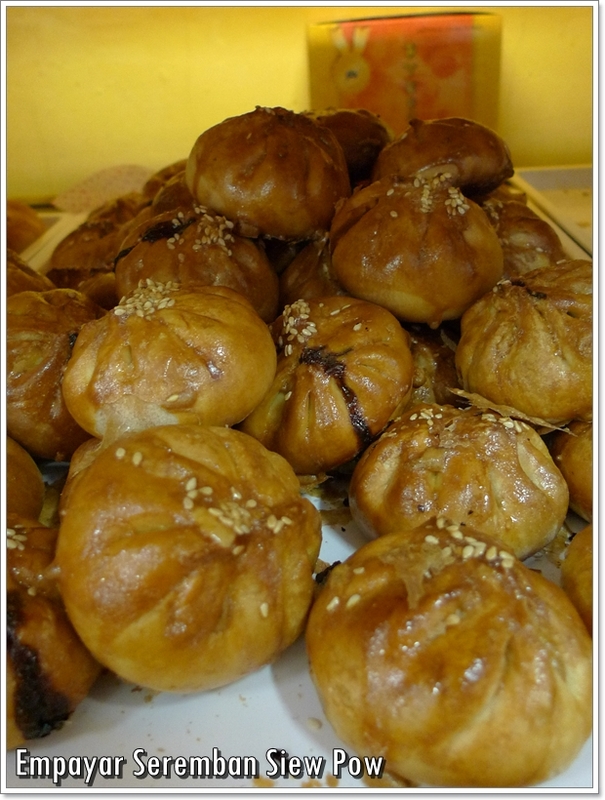 The baked crispy bun with pork fillings or Siew Pow, as we Chinese call it, is best served piping hot from the oven. So one can taste the crunchy and flaky pastry, encasing the moist, juicy and delectable fillings of barbecued marinated pork within. You can even find Siew Pow in the other states now, courtesy of a franchise/branch named Kee Mei Siew Pow, or something like that. Tang House in Malacca is a clean, no-frills and comfortable guest house located on Jalan Tokong, right in the heart of Jonker Walk in Malacca town. Offering amenities such as fully air-conditioned rooms with comfortable mattresses (yes, NO conventional beds, so those with creaky joints better think twice! ), hot shower in shared bathrooms, and a parking lot at the back of the guesthouse (RM2 per entry). Breakfast is provided free to the guests, and there is even free Internet usage, and free Wifi service as well. The place is run by a family, hence you’ll be amused by the casual banters amongst the proprietors, who cook, clean and attend to your every needs. There is even a pantry if you’d like to cook your own food (but hey, why would you wanna do that?!). A double room for RM55, and a triple room for RM70. A steal I’d say, as I’ll be glad to forsake luxury for some backpackers’ joint, and save myself some lunch money. I finally overcame my fear, and succumbed to another round of Satay Celup. I never made it a secret. Nor had I tried to hide the fact that I absolutely abhor Satay Celup. Yup, throw your brickbats guys and gals, but that experience at Capitol Satay Celup back in 2001 was a most horrifying one. And I turned my nose at every Satay Celup opportunities ever since. Adamant I was, until ……. Now. Practically dragged, forced and short of knocked out cold and dumped at the entrance of Ban Lee Siang Satay Celup, THE other prominent brand of Satay Celup in Malacca (aside from the aforementioned Capitol), we arrived rather early for a pre-dinner. Concept is simple, for those uninitiated. Pick your table, or share one with strangers if the place gets crowded. But bear in mind you’ll have to SHARE your boiling pot of satay sauce (spicy, peanut broth) with some other random fellas. Not a most pleasing thought, especially when you’re met with those who like to dip, and RE-dip their skewers of balls into the common pot. 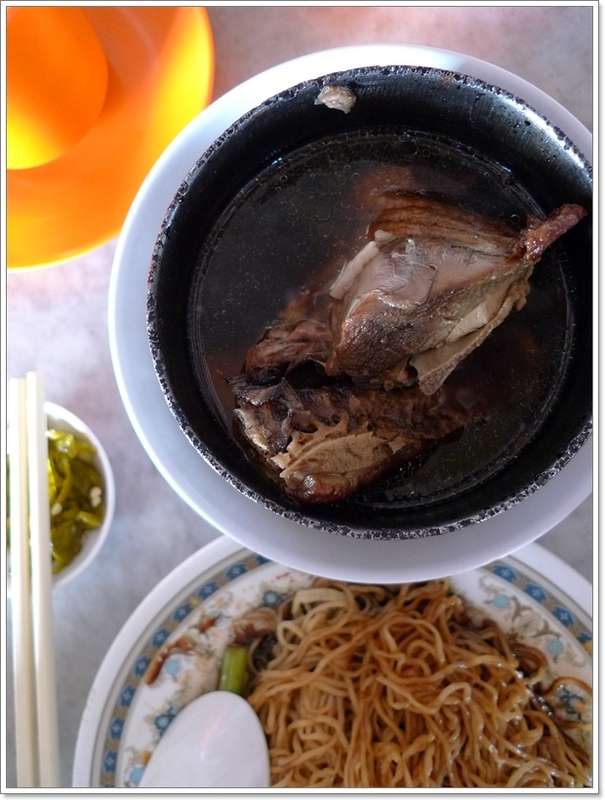 The style of cooking is akin to Chinese style of ‘Lok-Lok’, with different broth being used, and the omission of sauces. You don’t need any dipping sauces anyway, for the lemongrass-tinged peanut sauce offered a most robust flavour. Just be cautious of the stuffed chillies, for they burnt my tongue, literally! Don’t look down on those seemingly harmless reds, for they’re packed with punches, even surpassing the lethal sting of bird’s eye chillies (cili padi)! Opens for dinner only, from 5.30pm onwards. 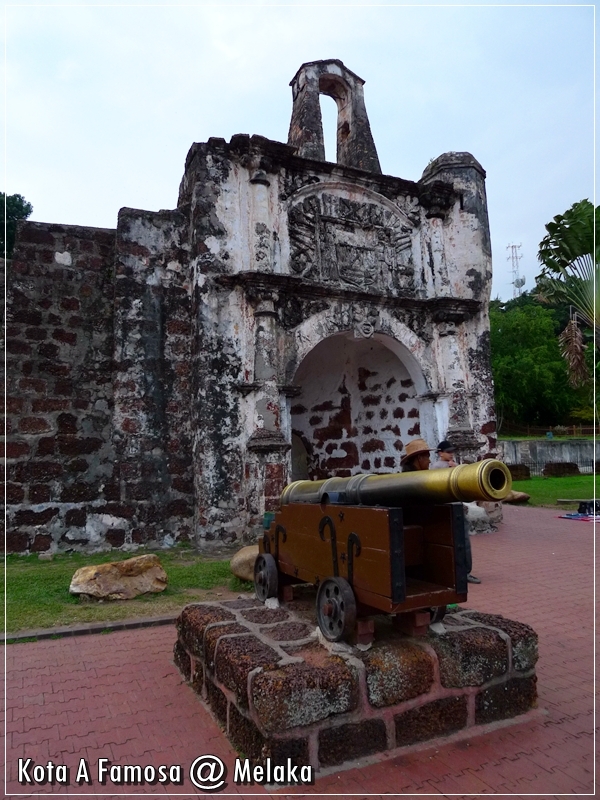 And thus, we went on a ‘heritage trail’ around Malacca town. It’s highly advisable to go on foot, as the traffic may get on your nerves, and the lack of parking spaces is a general headache, especially come peak season. After awhile, we ventured to Dataran Pahlawan Melaka Megamall for some breeze, as artificial as it might be. The weather was none too pleasant for a stroll for sure. Even though it was already in the evening. And nothing beats the cooling air-conditioning inside a mall, and possibly a movie or two. Sad to say, it’s too much of a hassle to purchase movie tickets come public holidays, and we ended up with none. Shucks. After the extra long walk from one end of the mall to the other. So dinner’s beckoning soon after…. I had a positive inclination to Portuguese Settlement’s seafood spread, since our friend brought us there some years ago. Back then, this place was not so complicated, and everyone used to frequent the corner-most stall for the best view. Fast forward a few years later, the stalls underwent some renovation and we were appalled by the ‘touts’ who swarmed at you from all directions, desperately pulling customers to their own respective stalls. And you can be easily swayed if you’re not familiar with the stalls. 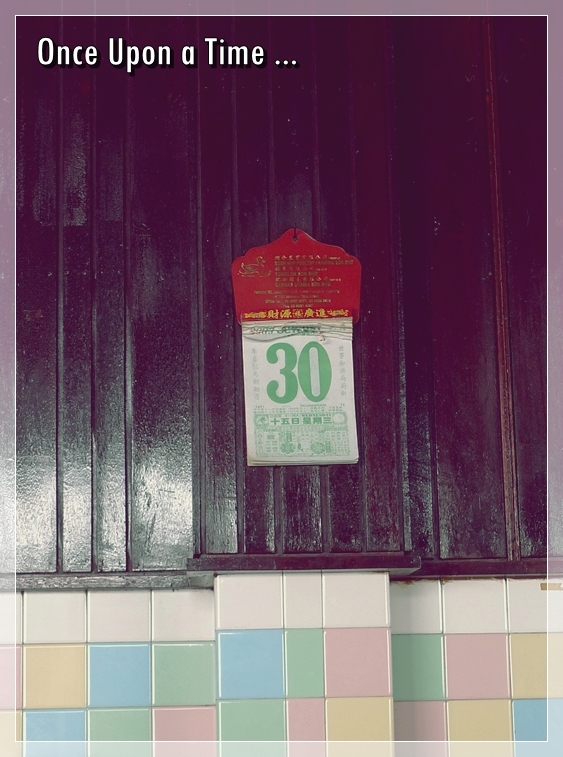 Back then, we had a rather good meal at 88 Seafood Restaurant, the number 4 stall. The number 1 stall, named Sea Terrace or something, is supposedly THE famous corner stall back then, but sadly this time around, it was closed. All the stalls (numbering ten in all!) were packed, and we got turned away at stall number 7 (Pescado) for they could not cope with the crowd. Ended up at Stall number 8, named Ah Roy which served some mediocre seafood sadly. Not recommended at all, for none of the dishes managed to impress. Only the scallops were thankfully fresh and sweet, and cooked in a decadent butter garlic sauce. The baked fish was almost too bland, while the sambal belacan kangkung (water convolvulus cooked with spicy and pungent fermented shrimp paste) tasted almost awful. And the deep-fried squids in batter was not too appealing either. 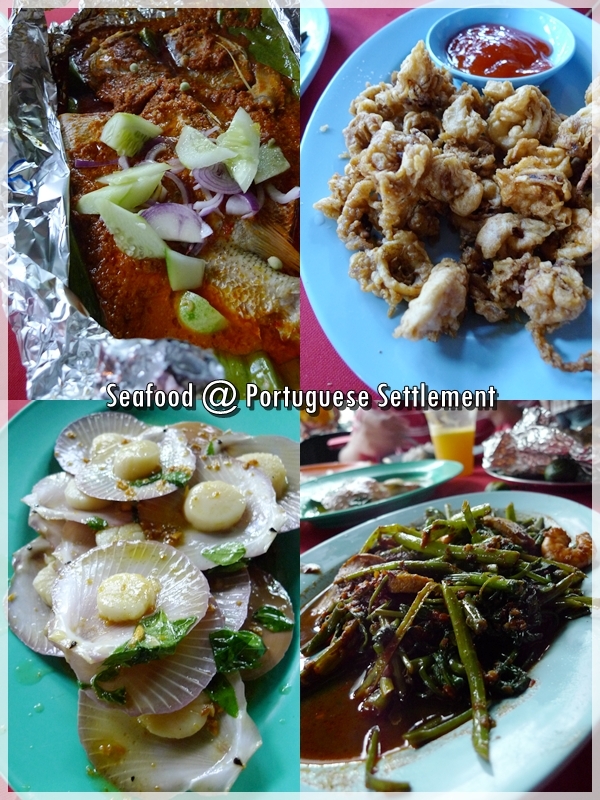 For directions and such, please refer to my older post here : Portuguese Seafood @ 88 Seafood Restaurant, Ujong Pasir, Melaka. 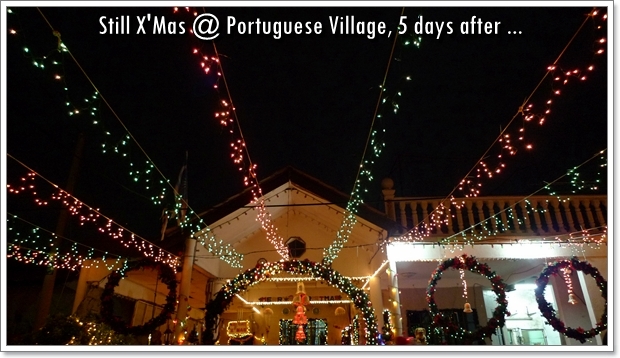 And much like last year’s grand scale of celebration, Portuguese Settlement was brightly and vibrantly decorated with Christmas ornaments, lighting and decorations; An overwhelming sense of camaraderie, togetherness and festivities filled the air ….. I was still amazed at the notion of celebrating X’mas not only with friends and families, but with strangers entering your houses and such. The neighbourhood came alive even though it was well past Christmas day. Maybe, there’s hope for humanity after all. wahhh… its lunctime and i’m reading this.. what should i do? Ah…I miss satay celup so much! Wah, so efficient la 🙂 Didn’t write about that durian tart ah? 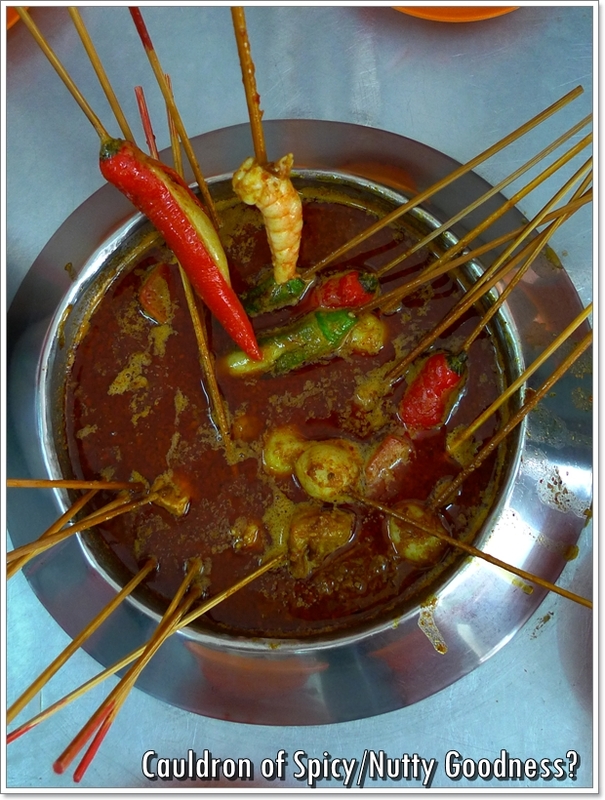 That one is nice…but now think back of the satay celup, actually very zhei also la, tried once enough, very oily la.. The Durian Tart I didn’t snap ma, so didn’t write bout them. Excuses ….. hehe …. Tang House! Finally a plc to stay. Baba House also not bad, but was fully booked for the peak period. And there are a few other cheaper hotels around Melaka Raya there. a great makan adventure-the cannon at Kota A Formosa is well polished! 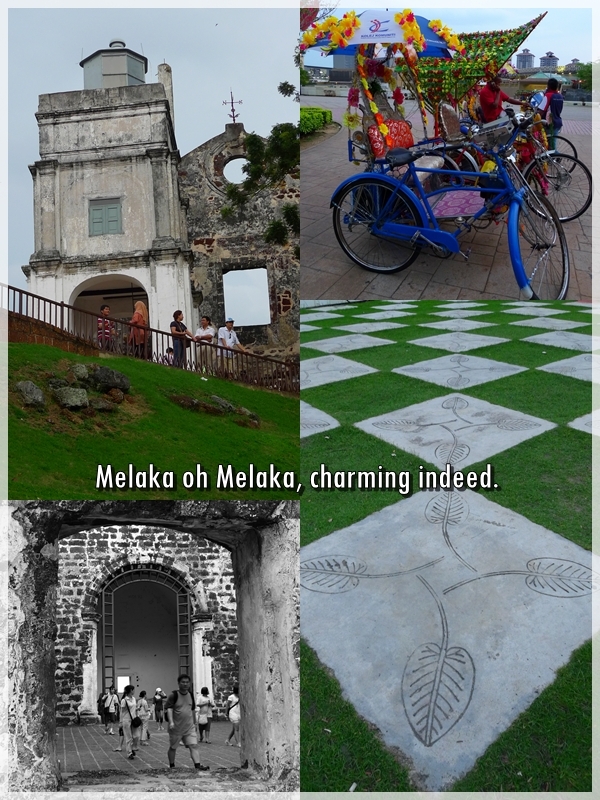 how many of you went down to Melaka??? There were 5 of us …. go try the Nyonya food (sometimes a little pricey), Sate Babi, and Cendol instead. Yeahloh… should’ve asked you for recommendations instead. Biased! Hahaha …. I’d take the other Malaccan delights anytime. Ahem, yeah lah …. If taken in moderate amount loh. I love love love Seremban siew pao!!! Ahhh… missing it so much. Haven’t tried satay celup before though i’ve heard so much about it! .-= iamthewitch´s last blog ..Starbucks 11th Year Anniversary & Facebook launch =-. Hi , i just want to share some thoughts with you…Probably you have try the Rest and now it’s time you should try The BEST Laksa at BESS Kopitiam while you here in Melaka. Address : 378 – C ,Taman Sin Hoe , Bukit Baru ,75150,Melaka,Malaysia. Thanks for that post. Want much more.